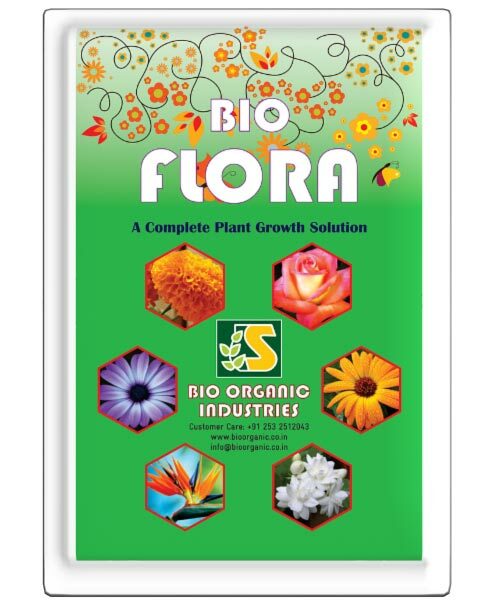 BIO FLORA contains all the required major, secondary and micronutrients essential for plant growth. It is specially formulated for ornamental plants, lawns and kitchen gardens. It boosts plant growth, flowering and fruitfulness of plants. Excellent source of all required major, secondary and micronutrients. Manufactured using natural sources of nutrients. Hence completely safe to use. Boosts root, shoot and flower growth enhances flower colour. Improve health of soil / potting media and provides long lasting benefits. Ideal for all types of potted plants, garden plants, lawns, kitchen gardens and trees. Potted plants (flower / vegetables / ornamentals):- 50-100 gm per plant per week. Garden plants / trees: - 100-200 gm per plant per week. Kitchen garden / lawns: - 500-1000 gm per sq.m. Per month.